"Another example of breaking that mold and raising the bar yet again." In 2013 Chef Dawn Doucette (Top Chef Canada, Zuni café) was already working in the Earls Test Kitchen. Chef Hamid Salimian (formerly Diva at the Met, Culinary Team Canada) became the first chef to join her and the “Chef Collective”, followed by consulting chef Jeff McInnis (formerly Yardbird, Miami and now his own restaurant, Root & Bone, New York, NY); In 2014 Chef David Wong (formerly ORU and Fairmont Pacific Rim, Bocuse d'Or) joined Earls Test Kitchen as well some young, creative American and Canadian chef consultants, which included Vancouver's Chef Tina Fineza. Now Earls Kitchen + Bar is pleased to announce, this past January, two new chefs to the Earls Chef Collective team. Chef Ryan Stone (formerly The Pear Tree with work experience at Alain Ducasse and L ‘Atelier by Joël Robuchon, Culinary Olympics, Bocuse D'or) along with consulting vegetarian chef Brian Skinner (Acorn, Otarian, Noma, Gold Medal Plates) are additions to the Earls Chef Collective. The Chef Collective is chefs working together bringing new inspiration into Earls kitchens. They collaborate on new dishes and recipes, share knowledge and cook together in the test kitchen to create new feature dishes, seasonal dishes, specific location menus (Vancouver, Toronto, Miami, Boston) and, what Earls hopes are, dishes that will become as much a part of Earls future menus as the well-loved dishes our guests are loyal to. For Earls, the restaurant that created the upscale casual dining mold, a level of dining embraced by independent restaurants and other chains, this is another example of breaking that mold and raising the bar yet again. This spring Earls Chef Collective is preparing to launch some exciting new menu items. From an authentic Korean Bibimbap (Chef Dave Wong) to some great new takes on vegetarian salads (Chef Brian Skinner), Ocean Wise seafood (Chef Hamid Salimian), two new brunch items (Chefs Dawn Doucette and Ryan Stone), a new dessert and even a new burger. Dishes will launch in Earls Flagship locations on March 25th with most dishes moving to all Earls locations in June, along with some exciting new summer cocktails from Beverage Director, Cameron Bogue. Ryan has had an esteemed and illustrious career to date bringing with him experience in fine dining, hotels, large corporate dining and award winning culinary competitions. He comes to us most recently from San Francisco, where he was the Executive Chef at Levi's Stadium, the home of the 49ers, overseeing and reinventing over 60 restaurants and food and beverage outlets for 60,000 guests daily. Ryan has travelled extensively cooking at some of the world’s best restaurants, including Vancouver’s Pear Tree Restaurant, and was awarded stage opportunities with Alain Ducasse, L'Atelier by Joël Robuchon and several fine restaurants in France, London, Australia and Germany. Like both Chef Hamid Salimian and Chef David Wong, Ryan has competed in many international culinary competitions representing Canada at the Culinary Olympics and the prestigious Bocuse D'or. Brian took diners to “dizzying vegetarian heights” as the chef/owner of Acorn restaurant in Vancouver before selling his shares to his business partner in late 2014 and starting his consulting business. Born and raised on the West Coast of BC, Brian started working in Vancouver kitchens at an early age before beginning his formal training at VCC – He worked for Earls twice, as a young dishwasher and later as a cook. He spent 5 years in Europe at world-renowned restaurants Viajante and Sketch in London, England, as well as Noma in Copenhagen, Denmark. Before his return to Vancouver Brian was the chef consultant for Otarian, a vegetarian restaurant group in London and New York. Brian’s was the first vegetarian dish to win the Gold Medal Plates. David is an award winning chef from Vancouver, most recently as Executive Chef of the Fairmont Pacific Rim and the award winning restaurant ORU. Dave has too many awards and medals to even list but we would say that his Gold medal win as part of Culinary Team Canada in Basil, Switzerland and representing Canada at the Bocuse d’Or held in Lyon, France - are two of the most prestigious culinary awards in the world. Born in Iran and raised on the Caspian Sea, Hamid brings an exotic palate to Earls dishes creating new dishes and bringing a flavour twist to update existing menu items. His influences come from the simple, traditional Persian cuisine though his main area of culinary study was French cuisine. Hamid’s background is in fine dining and hotels working at the Sutton Place and Metropolitan Hotels, where he was Executive Chef as well as Chef of the award winning Diva at the Met. 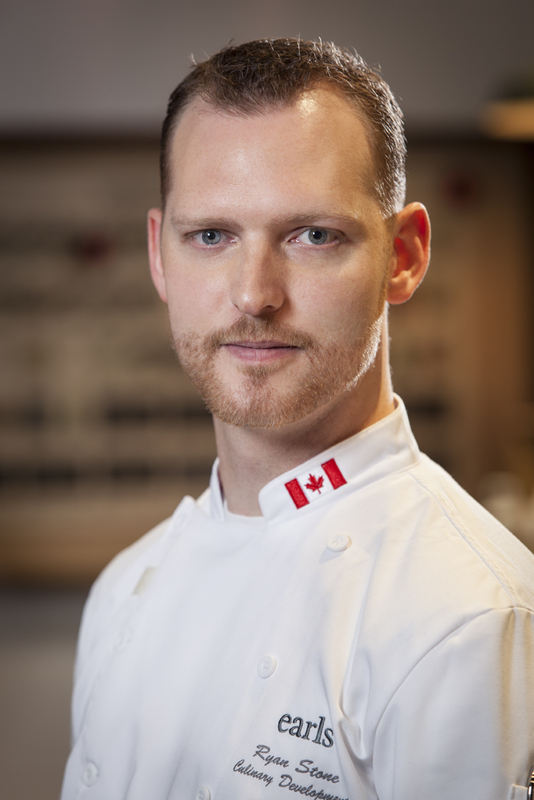 He is currently Captain of Culinary Team Canada and splits his time evenly between the Earls Test Kitchen, where he works each moring, and as a culinary instructor at VCC. 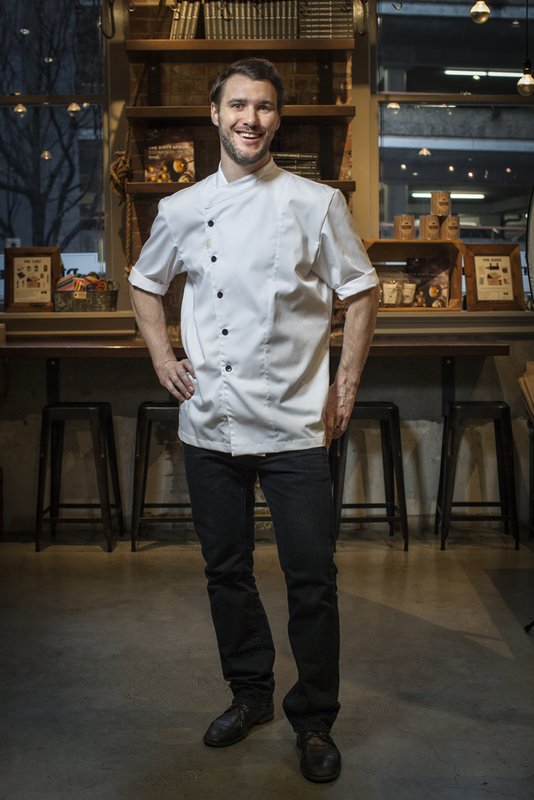 He and his wife, Chef Jennifer Peters, also have a gluten free bakery in Vancouver. Earls knew they wanted to work with Jeff when they tasted his amazing southern influenced food at a restaurant called Yardbird in Miami, Florida. Born to either fish or cook Jeff grew up on fishing boats around Niceville, Florida, peeling shrimp, cutting fish and cooking on the line at The Marina Cafe. He attended world renowned culinary institute Johnson & Wales University in Charleston before working in the Caribbean, Virgin Islands, San Francisco, Virginia and Miami. Jeff cooked his way into the finals of “Top Chef,” in 2010; In 2014 he and his partner Janine Booth opened a new restaurant in New York City called Root + Bone. See more of the Earls Chef Collective in action.